I love her for many reasons, but more and more I'm starting to love her for the way she's becoming more keenly aware -- thanks be to God! -- of why her husband (that would be Yours Truly) is always so concerned about doctrine all the time due to the legitimate spiritual dangers that false doctrine presents to our family as well as to our dear brothers and sisters in Christ. 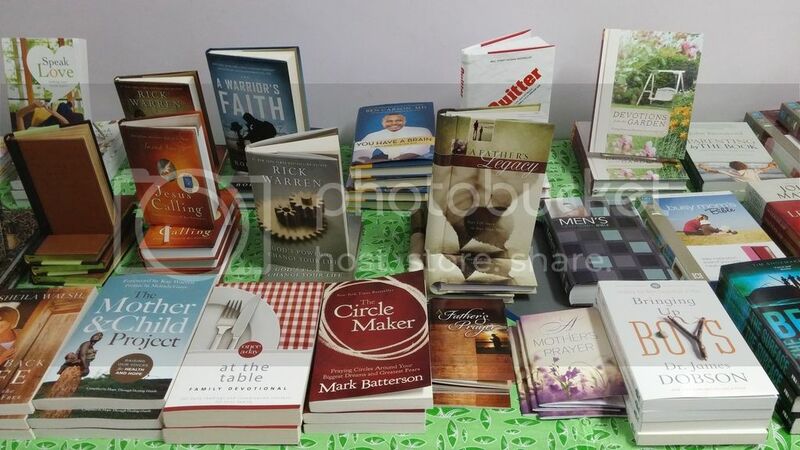 Case in point, here's what she sent me the other day attached to an email that simply said, "Which books should I remove from this table if I get the chance to?" I couldn't be happier...I couldn't be more upset. Of course, I'm absolutely thrilled that she came to me on her own to ask me for my thoughts about which of those books were bad. At the same time, I'm deeply distressed since I know what kind of soul-damning nonsense is found sitting on those tables. There's something else that's deeply troubling though. Notice anything about those pictures? NOT A SINGLE DISTINCTLY LUTHERAN BOOK THAT I COULD TELL!!! 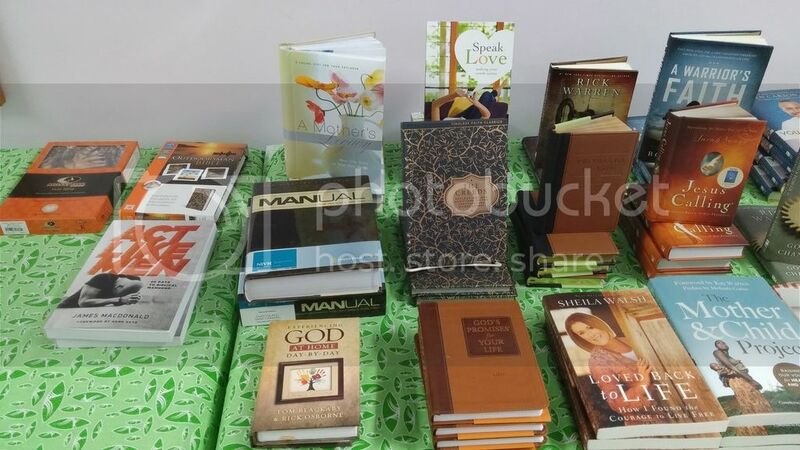 Keep in mind that this was a "Book Fair" hosted by one of the oldest remaining Lutheran Day Schools in the entire country and one that decided a long time ago to change it's name to "Trinity Christian School" because the descriptor of "Christian" instead of "Lutheran" was much more "inclusive" and "loving" for sure. Sadly, this is the result of ecumenism, syncretism, and unionism run amok in both this particular so-called Lutheran Day School and the LCMS church that's affiliated with it. What kind of a message does that send to people? Why bother calling ourselves Lutherans if it doesn't really matter to us (Jude 1:3)? 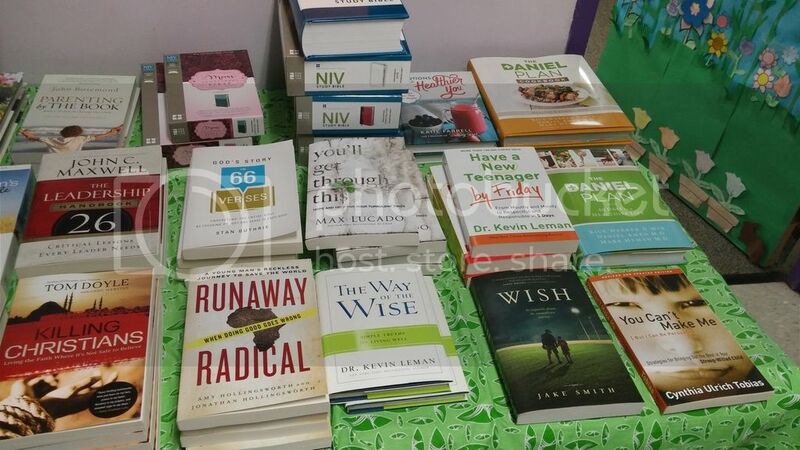 Most importantly, why agree to host a Book Fair like this when it's akin to promising people a "cure" for them when, in reality, those tables are filled with pure poison wrapped in a label that makes it look like it's medicine instead (Isaiah 5:20; Matthew 15:12-14)? 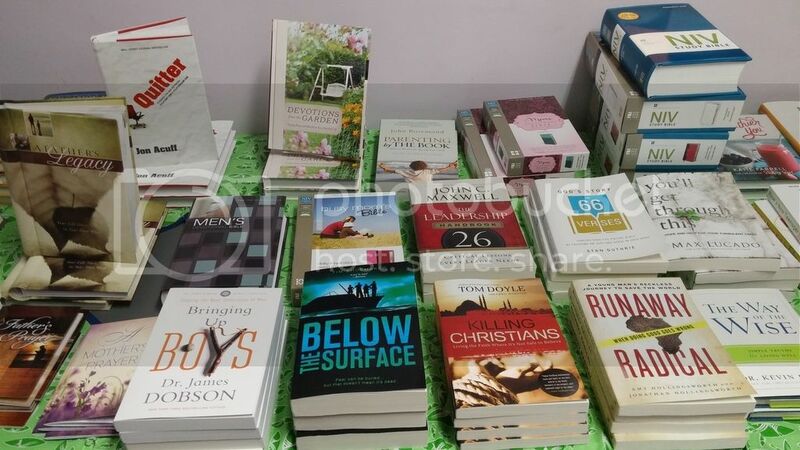 When will we learn that just because something calls itself "Christian" or is classified as a "Christian Bestseller" does not mean that it is (Matthew 7:15-16)? When will we start believing all the passages in the New Testament that repeatedly warn us about false teachers, the wolves in sheep's clothing, like some of the "Pastors" who published some of these books (2 Peter 2)? Did I see three different books by Rick Warren alone!?! What a dangerous and wicked game we play with people's souls (as well as our own)! Boy, just the thought of people I know and love (including possibly their children!) buying one or more of these books and being led astray by some sweet sounding false doctrine (2 Timothy 4:3). 2 Corinthians 11:12-15 (ESV) 12 And what I am doing I will continue to do, in order to undermine the claim of those who would like to claim that in their boasted mission they work on the same terms as we do. 13 For such men are false apostles, deceitful workmen, disguising themselves as apostles of Christ. 14 And no wonder, for even Satan disguises himself as an angel of light. 15 So it is no surprise if his servants, also, disguise themselves as servants of righteousness. Their end will correspond to their deeds. In a Lutheran layman's terms, I believe this is fair criticism about this Lutheran Book Fair. What's The Real Mission Behind Being 'Missional'?